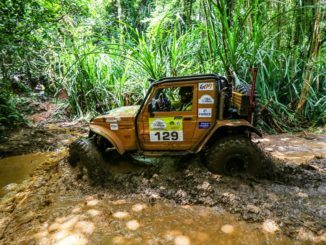 Dona Paula, July 21, 2017: After a year-long wait by off-roading enthusiasts across the nation, the time has come to witness India’s most incredible off-road motorsport mania. Force Gurkha RFC India is back in Goa, for what is expected to be an extremely tough and adrenaline-filled fourth season. Starting from tomorrow, RFC India 2017 will be held at various locations within the State till the 30th of July. In these nine days, participants will overcome rigorous obstacles in their quest for the country’s toughest off-road motorsport trophy. This year, 40 robust teams from across the country, each comprising a driver and a co-driver, are going to compete against each other, with the top Indian driver of the competition getting monetary benefits worth $8000, including a free automatic entry to the Rainforest Challenge (RFC) Mother Event to be held in Malaysia later in the year. Sponsored by Force Motors Ltd., RFC India was launched by Delhi-based Cougar Motorsport Pvt. Ltd. in 2014. It is the India Chapter of the Malaysian RFC, which is listed among the top ten toughest motor races in the World and has over 20 editions worldwide. Though merely three editions old, RFC India is today the country’s toughest international off-road motorsport event and is also counted in the top three in the RFC Global Series. 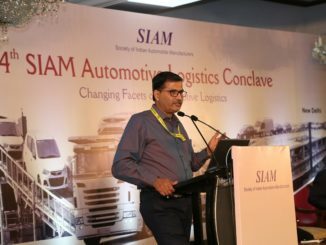 In the last three years, the event has had three successful editions in Goa as well as two regional chapters in Bangalore and Chandigarh. Promising eye-popping and jaw-dropping off-roading adventure, the event will be held in 26 competitive Special Stages (SS) that will test the contestants’ driving and vehicle recovery skills, team spirit and their physical and mental endurance under extreme off-road conditions. Based on a point system, the competitors earn set-points on successful completion of stages. However, penalties are incurred in case of failure to complete a task, non-adherence to the rules or damage to the flora and fauna at the event location. The team with maximum points in their account at the end of the competition wins the title. Vehicle Scrutiny will be held ahead of the event on 22ndJuly at International Centre Goa (ICG) at Dona Paula, wherein all participating vehicles will be checked for their compliance with RFC India safety specifications and drivers will be guided about RFC India Rules and Regulations pertaining to driver and co-driver safety. The contestants who successfully clear the scrutiny will proceed for a ceremonial flag-off, to be held on 23rd July at ICG. Mr. Vijay Sardesai, the Minister of Town and Country Planning in the Goa Government, will be the Chief Guest on this occasion. Till last year, the event used to start from the city center and proceed towards off-road locations in various parts of Goa. In a complete reversal of the event schedule, this year the organizers have decided to start right from the off-road heartland and conclude the event in the city. Therefore, the first set of Special Stages of the off-road motorsport mega event will be held at Xenem in Gancim on 24th July; followed by further SS in Suquerbag in Cavorem on 25th and 26th of July and at Green Hills Agri Farm in Maina, Cavorem on 27th and 28th of July. The event will conclude in Dona Paula with the final Special Stages being held at the Rajiv Gandhi IT Habitat on 29th July and 30th July. The challenges have been re-designed and the competitors are raring to go; now only time will tell who will be the ultimate off-road motorsport champion of India to represent the country at RFC Malaysia to be held at the end of the year. 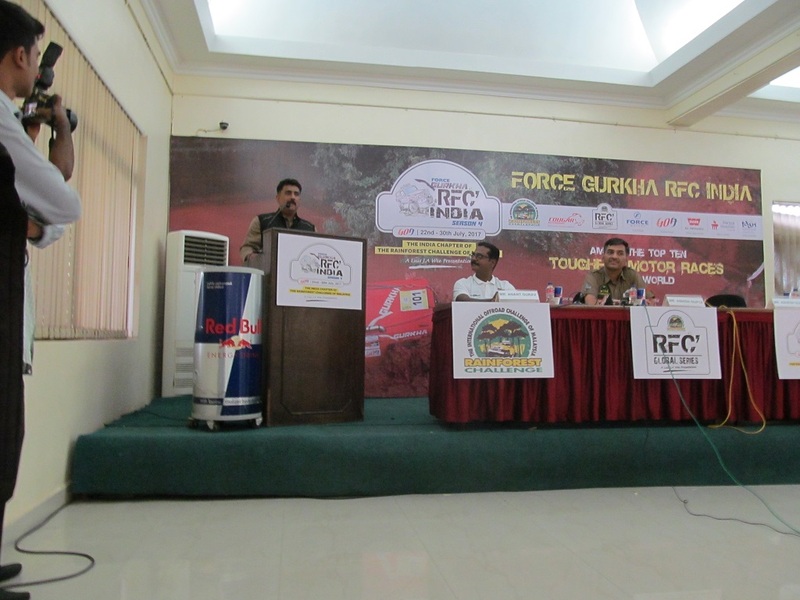 Also find enclosed herewith a couple of photographs of the Press Conference that was held today in Goa to announce the commencement of Force Gurkha RFC India 2017.